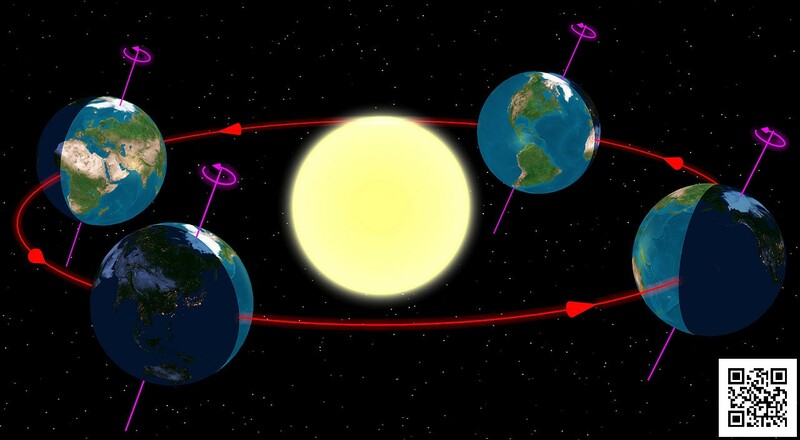 The axial tilt of Earth and gyroscopic effects of its daily rotation mean that the two opposite points in the sky to which the Earth’s axis of rotation points (axial precession) change very slowly (making a complete circle approximately every 26,000 years). 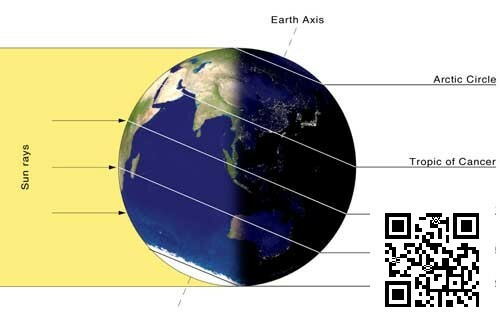 As the Earth follows its orbit around the Sun, the polar hemisphere that faced away from the Sun, experiencing winter, will, in half a year, face towards the Sun and experience summer. This is because the two hemispheres face opposite directions along Earth’s axis, and so as one polar hemisphere experiences winter, the other experiences summer. The winter solstice is considered by some to mark the end of autumn and the start of winter. 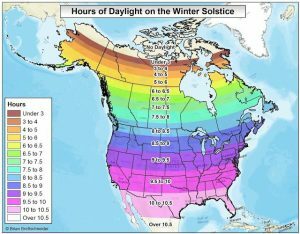 The winter solstice is upon us: Wednesday, December 21, 2016, will be the shortest day and longest night of 2016 for anyone living north of the equator. If pagan rituals are your thing, this is no doubt a big moment for you. If not, the official first day of winter is neat for other reasons, too. Below is a short scientific guide to the longest night of the year (though not, as we’ll see, the longest night in Earth’s history — that happened back in 1912). 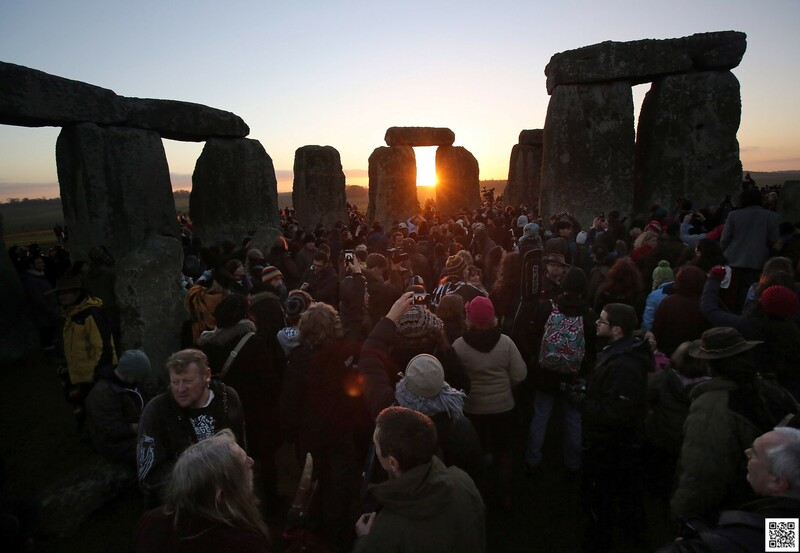 Why do we have a winter solstice, anyway? Most people know this one. 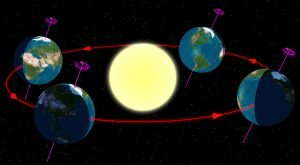 Earth orbits around the sun on a tilted axis (likely because our planet collided with some other massive object billions of years ago, back when it was still being formed). In 2016, this will occur at exactly 5:54 am EST on December 21. How many hours of sunlight will I get on Wednesday? That depends on where you live. 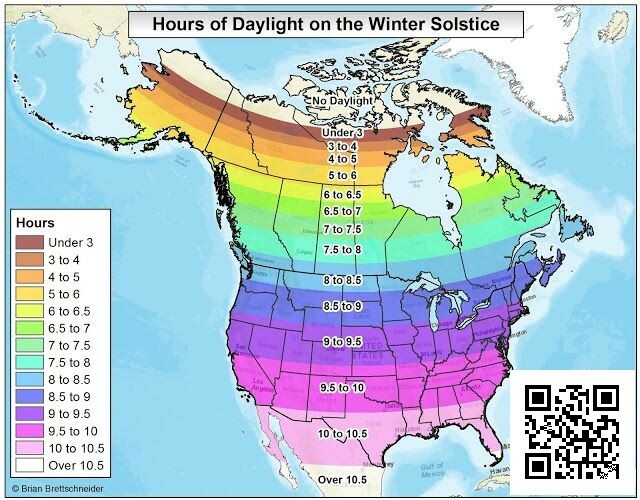 The further north you are, the less sunlight you’ll get during the solstice — and the longer the night will be. Washington DC will get about 9.5 hours of daylight — and 14.5 hours of glorious, glorious darkness. Is the solstice the earliest sunset of the year? Not usually. 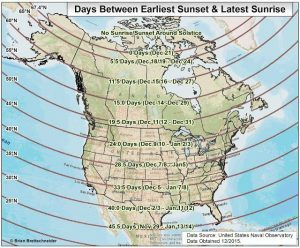 Just because December 21 is the shortest day of the year for the Northern Hemisphere, it doesn’t mean every location has its earliest sunset or latest sunrise on that day. 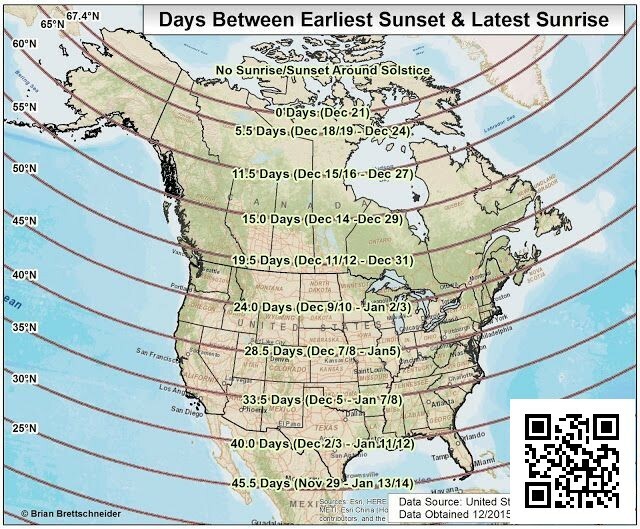 If you live in Washington, DC, you missed the earliest sunset — it happened back on December 6. But you can still catch the latest sunrise on January 6. If you like sleeping in, that’s arguably the most exciting day of the winter. No annoying sun bothering you in the morning. 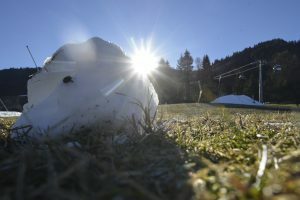 Is the winter solstice the coldest day of the year? Also not usually! 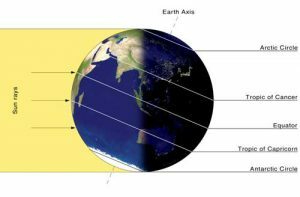 It’s true that the Northern Hemisphere gets the least direct sunlight on the winter solstice (which is officially the first day of winter). But the coldest months are yet to come — usually in January or February, depending on where you live. 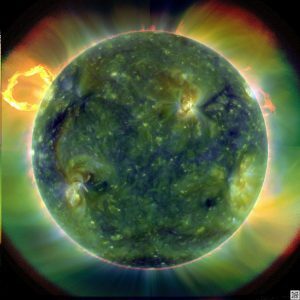 A big reason for this “seasonal lag” is that the Earth’s massive oceans absorb much of the sun’s energy and release it slowly, over time. So there’s a delay between when there’s the least sun and when the air temperatures are actually coldest. The same thing happens in summer — there’s a delay between when solar insolation is at its maximum (the summer solstice in June) and when the hottest months are (usually July or August). This seasonal lag varies greatly from place to place — during the summer, it’s pretty extreme in San Francisco, which is surrounded by water on three sides, and where temperatures don’t typically peak until September. Likewise, places distant from large bodies of water, like Iowa, can often see sharper swings in temperature than places like Rome that are surrounded by ocean. 5) What does all this have to do with Stonehenge? Is Wednesday the longest night in Earth’s entire history? Given that, you’d think the winter solstice of 2016 would be the longest night in all of history. But while it’s certainly up there, it doesn’t quite take top honors. That’s because tidal friction isn’t the only thing affecting the Earth’s rotation — there are a few countervailing factors. The melting of glacial ice, which has been occurring since the end of the last Ice Age 12,000 years ago (and is now ramping up because of global warming) is actually speeding up Earth’s rotation very slightly, shortening the days by a few fractions of a millisecond. 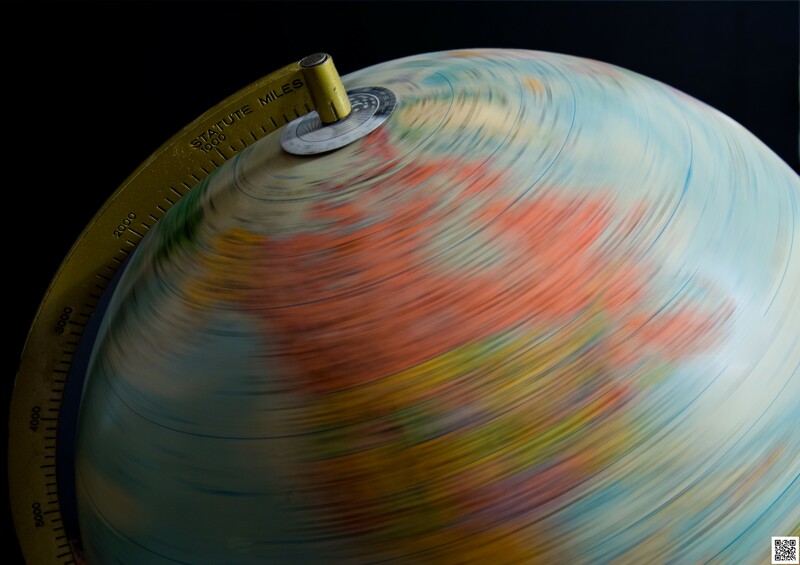 Likewise, geologic activity in the Earth’s core, earthquakes, ocean currents, and seasonal wind changes can also speed up or slow down the planet’s rotation. When you put all these factors together, scientists have estimated that the longest day in Earth’s history (so far) likely occurred back in 1912. That year’s summer solstice was the longest period of daylight the Northern Hemisphere has ever seen. And, conversely, the 1912 winter solstice was the longest night we’ve ever seen.